Florida is making it cheaper for Canadians to flee Old Man Winter. 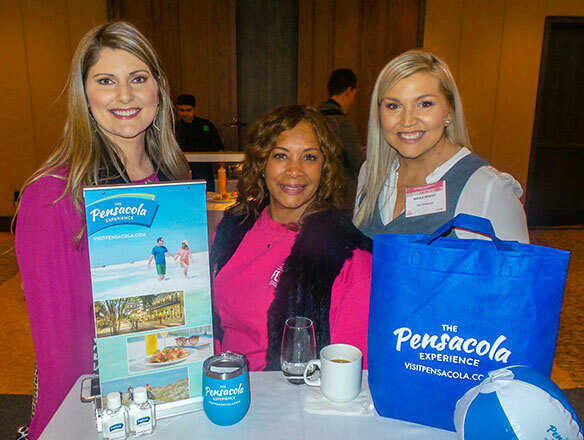 VISIT FLORIDA is touting the Power Play Parity Program, which Staci Mellman of VISIT FLORIDA’s head office said during a Jan. 15 Toronto gathering offers “more than 100 great deals on travel” to her state for Canadians. The program – a partnership with Expedia – provides savings of 20% or more on hotels, attractions, rental cars and airfare, savings Mellman said amount to a “great opportunity” for people in this country to book a cheaper vacation. Details can be found at LoveFlorida.ca. The program comes at a time when Florida’s tourist trade is on a roll, with Mellman reporting that it’s been posting records during the last seven years. The January-September period in 2018 saw the state host 95.8 million visitors, 2.8 million of them from this country. Among those participating in the Power Play Parity Program is SeaWorld Parks & Entertainment, with Randy Anger of its Canadian office saying Canadians who visit any of its Florida parks other than Discovery Cove are able to save up to 30% on admission. VISIT FLORIDA has also launched its Moments of Sunshine campaign, also designed to encourage Canadians to visit Florida. The January campaign is relying heavily on images placed in Toronto’s subway system to get its message about Florida out. Among Florida destinations on hand for the Toronto event was the Marion County Visitors & Convention Bureau, with the bureau’s Ashley Dobbs labelling her county “the horse capital of the world,” thanks to its being home to some 85,000 horses. Visitors can go horseback riding and tour parts of the county by horse and carriage. Dobbs also praised the “historic charm” of downtown Ocala, and said tourists who vacation in Marion County will also find great food, outdoor pursuits such as hiking and biking, and an emerging arts and culture scene. “We’re more of the classic side of Florida,” she said.